Growing food on Mars?! : 1.12. Firefighters or astronauts? 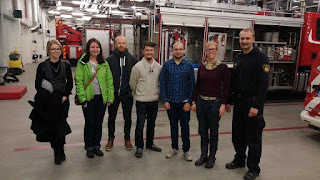 Our dark snowless December started off with a visit to the North Karelia Rescue Department, located in Joensuu, and we were lucky enough to learn about the physical requirements of fire fighters, smoke divers, and rescue personnel. We also got very important information about communication within a big organisation, when there's no time to spare. 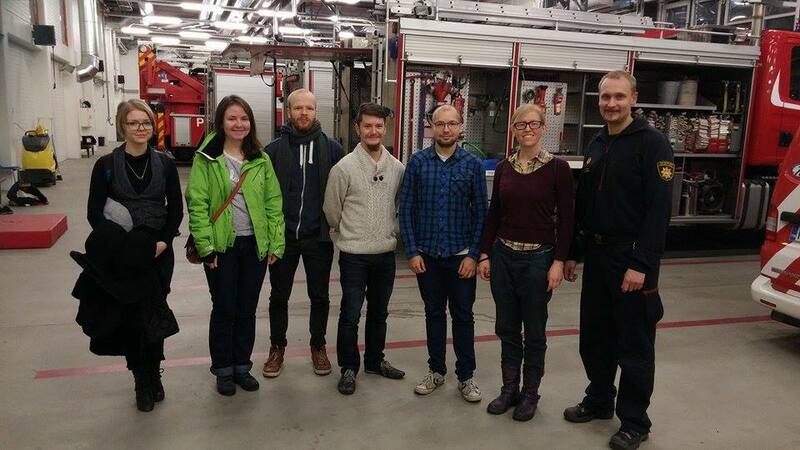 Our presenter, Jani Kareinen (in the right picture), also showed the firetrucks and the personnels gym to us. Most of us are now wondering if we're also able to do over 40 squats with 45 kg on our back, although that's probably impossible. 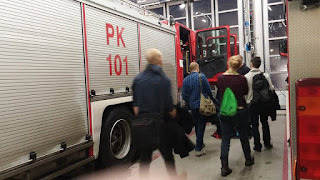 These guys handle nearly 4000 rescue missions in a year, and not even one of them includes that milk you forget in the fridge and it turns bad. They don't have time to rescue everything, but it's surely nice to have them when we really need!